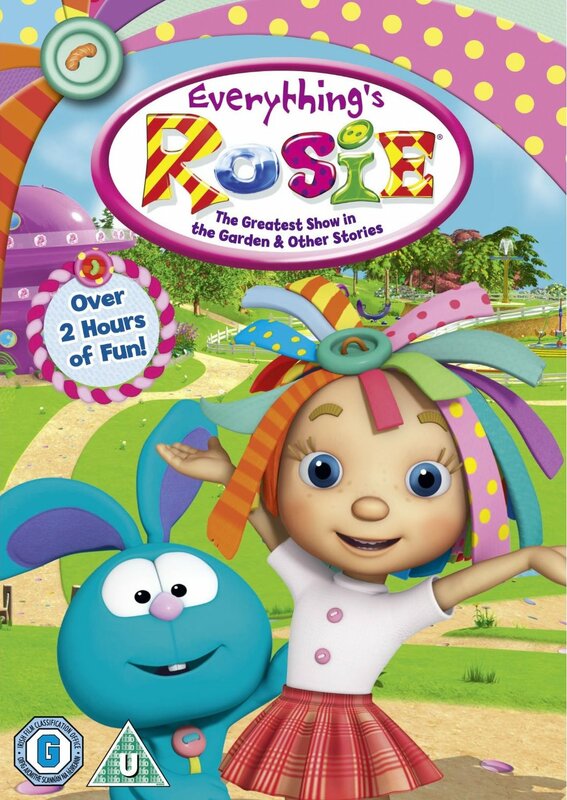 Parents rejoice, the smash hit CBeebies show ‘Everything’s Rosie’ has finally come to DVD. The series has been charming 5 million children per episode, and on viewing this DVD it is plain to see why. The episodes offer a beautifully animated bright vibrant world, with likable characters and great voice work. New girl in town, Rosie has a series of adventures with her colourful group of friends - embarking on journeys of discovery, fun, and everyday conundrums. Rosie lives with her friend Raggles in the playhouse of every child's dreams. The Playhouse stands high on a hill, overlooking their favourite playground where you are sure to find Rosie and her friends - Will, Holly, Big Bear and Bluebird. I always find when it comes to shows aimed for young ones (especially on DVD), if its tolerable for the parents to sit and watch along it has done its job. I can safely say Everything's Rosie succeeds in this and each episode helps promote that it is ok to ask for help, the importance of friendship, and appreciate the diversity in a group and community of people. Each episode of the animated series takes a seemingly everyday situation that pre-schoolers might face for the first time and finds a refreshingly different way to deal with it. Children seem genuinely captivated by the episodes and react and interact with the episodes in a positive way. Everything's Rosie is high quality preschool programing that will appeal to both girls and boys in addition to keeping them enchanted and entertained with tales that focus on friendship and fun. The DVD contains 13 episodes and runs for over 2 hours and is available on DVD now. Everything's Rosie is shown on what channel in the UK?